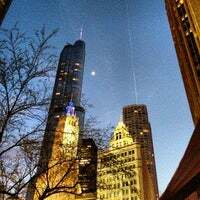 Planst du einen Trip nach Chicago? 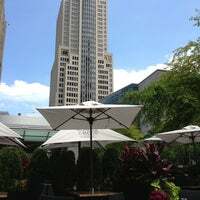 The restaurant touts the largest draft beer selection in Chicago with 114 unique local and global varieties and arguably one of the biggest outdoor patios downtown where you can enjoy them. Great patio by a fountain. Outside bar. Awesome and LARGE beer selection. 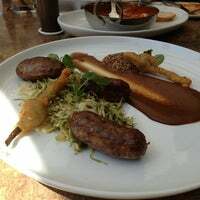 Food was delicious! Also the Bloody Mary was a 10! 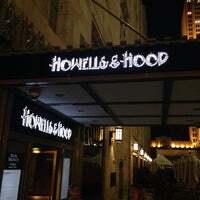 Aside from their amazing selection if over 100 beers on tap; They have a Really excellent Shrimp and Andouille sausage dish you must try and their Butterscotch Pudding desert is amazing! Like beer? This place has a massive beer selection on tap!! The beer garden is also very nice. 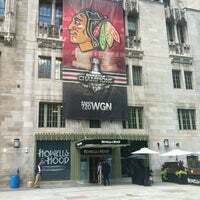 Definitely a great spot to enjoy delicious beer and food on Michigan Ave.
Extensive beer menu and the servers will help you if you get overwhelmed. The food looked damn good. I'll have to try it next time. 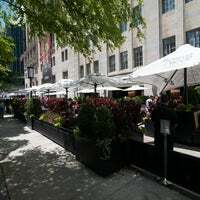 The outdoor seating is beautiful in the summer. Definitely ask for a booth as it allows for better sound insulation or try to eat at the communals. Definitely front bar for eating/tasting, back bar for drinking/watching the game, volume on. Louder! Great location with a great beer selection but you pay for it. 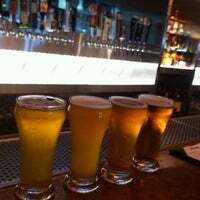 There are a few great beer places within walking distance that are cheaper. Shrimp and andouille Chef's plate is nails - tons of flavor, one of the best small plates I've had! Order it...now!!! The fish tacos are really quite good. Also, this place is known for their beer list, but the Whiskey selection is really quite good. See the last page of the menu. 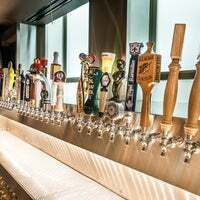 Looking for 114 craft beers pouring from 360 taps? 120 of those on the huge patio? 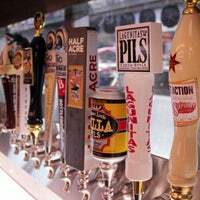 Most draft beer taps in Chicago? Sold! The Lamb Bolognese is made with a spaghetti-type pasta that actually has a hole in the middle (like a straw). This makes it cook evenly, adding to the deliciousness. Over a hundred beers on tap. 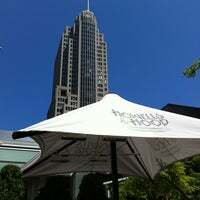 Good venue with outdoor seating below the Tribune Tower. Food is good too! Perfect complement to the beers on offer. 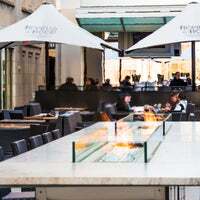 Great beer selection and outdoor seating, but my wallet was stolen out of my purse while I was eating dinner and the manager said they deal with things like that happening every day. Be careful! This place seats 900 people when the patio is open, food seems like typical bar food. Come for the patio and enjoy a cider! Then leave before the tourists flash mob you! This was the perfect spot for brunch/lunch following our excellent CFA architectural tour in the river walk! And they were showing the UEFA soccer championship! Excelente lugar ya sea para comer o tomar un par de cervezas ( las cuales hay en gran variedad). Muy buen ubicado y el servicio muy bueno! Fish and chips was SO good! Everyone loved their food and our service was incredible. Definitely will continue going back. Such a cozy restaurant, I mostly liked "around the world" beers on flights list and triple carmelite is the best one! Really enjoyed my English Ale and Remy Martin on the rocks. 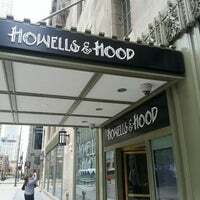 A little disappointed they don't stock my Martell. But it's all good. If you're right out of college and in your first corporate gig and want to hang out with other twenty-something's for happy hour in a loud and crowded environment, then this place is for you! Massive space with lots of games tv's and servers. Patio will be a huge draw in the warmer months. Nice bar staff! Very large outdoor patio. 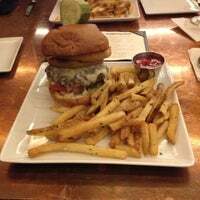 Food is just bar food, mostly, but the location makes it worth a visit. Service is excellent. Mayra is the best! Also, the beer selection is ahhh-mahzing! Was excited to try the Allagash Curieux- 11% alcohol. Delicious salmon salad—fish was cooked perfectly, and the kale was made yummy with cheese and prosciutto. Always thought of this as a Bar. But their food is especially good. The kimchi burger hits the spot! Awesome beer list. And the Snickers Pie is delicious!!! Try the new braised cauliflower. Amazing flavor in the sauce. Fish Tacos terrific too. Get a glass of ale and go with someone you don't need to talk to - it's so loud in here! But it's a good time. Service was slow, and burger was more medium-well than medium-rare. However, points for a great patio and beer selection. Though I do wish they had Sours! 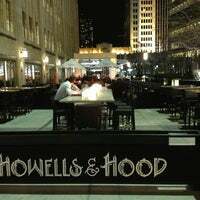 Great selection of beer and unique Chicago pub food. Had a delicious lunch of the fish tacos and a dark and stormy. Great meal! Gran selección de cervezas y buena comida... Aparte que el lugar es muy céntrico. Service was spotty; seemed understaffed for the size. Fish and chips was good. The menu seems incredibly fish-heavy for a bar. Wouldn't mind a few more snack-type apps to go with all that beer. The patio is huge, good spot for a work lunch w colleagues. Huge beer selection. Food is always just ok! Great beer selection! And make sure to start with a side of cheese curds. Make sure you ask for Big Bishops hot sauce...you WON'T regret it!! "Weekly Seafood specials! Snapper, Salmon, shrimp... always amazing!" "The breakfast tostada was great. Also hey have gluten free cinnamon rolls!!" 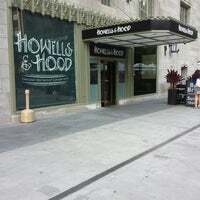 "Love their cocktails and sliders. Just let the server know your favorite type of liquor and style and they can recommend the best drink!" "make sure to have the cold corn salad as a starter: delicious. the rabbit salad is an absolute treat!" 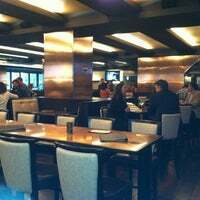 "Comfortables seats, nice staff, wide range of movie options, I highly recommend this place." "The balcony on the 22nd floor is still one of the best views in the city, if you ask me. Second favorite spot in the Tower? The bank of windows on the 5th floor overlooking the newsroom below."